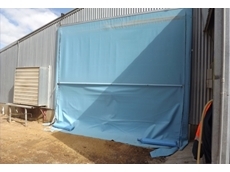 Polytex , a Riverina based tarpaulin manufacturer specialises in the supply of tarps, covers, liners and shelters for agriculture, industry and mining segments Australia wide. 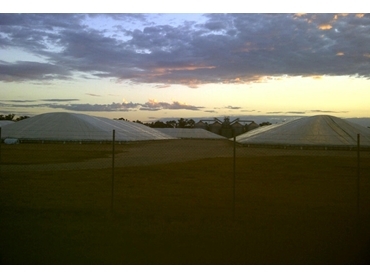 Polytex serves the needs of the agricultural sector by supplying harvest grain covers and ground sheets for several private grain handling companies as well as bunker covers for grain growers for on-farm storage. Polytex provides a free chart for grain producers to help them determine the right cover size required for setting up a bunker for a particular amount of grain. 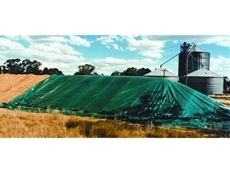 The Ratch-e-tarp designed and manufactured by Polytex is widely used by cotton and hay industries. 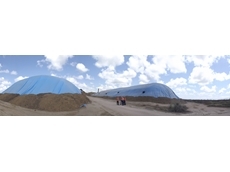 An advanced yet simplified form of the tensioned webbing cotton module cover, this tarpaulin is very easy to install and secure on cotton modules or hay stacks of module size. 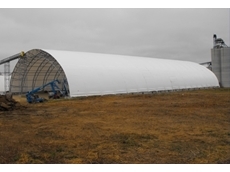 Polytex recommends its sleeved hay covers for larger hay stacks. 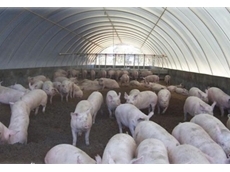 Polytex has been involved in the refurbishment of poultry sheds, supplying the poultry and piggery industry with blinds, shelter covers, fan covers and various poly fabric requirements. 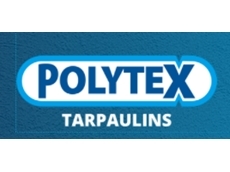 Polytex also supplies rollover tarpaulins for the truck body building industry and machinery manufacturers.